In our last column, I outlined many of the advantages of asymmetrical card decks over symmetrical ones. No matter how good asymmetric designs can be, it is still possible to mismanage them. In this column, we look at several examples to help illuminate their proper use. Scenario 1. Assigned Hands of Cards. Imagine a card game with two suits, diamonds and spades. A Prize card is randomly drawn each round and some prizes are significantly better than others. Players simultaneously play one card from their hand, high number wins the prize that round. The diamonds are ranked 1-4 while the clubs are ranked 5-8. If one player is assigned the diamonds while the other player is assigned clubs, we already know how this will turn out. No fun for Mr. Diamond. What if the distribution were altered? Diamonds are now ranked 3-6 while the clubs are ranked 1-2 and 7-8. One player is still assigned the diamonds while the other player is assigned clubs. Is this an improvement? Not really. The diamonds player now wins half of the prizes but is is clubs that is in total control. Ms. Club will decide which two prizes she takes and which two she she yields to Mr. Diamond. Mr. Diamond still isn’t having any fun. Let’s interlace the suits even further. Diamonds are now ranked 2, 4, 5, 7. Clubs are ranked 1, 3, 6,8. Clubs now holds the highest and lowest cards but the middle cards have been interwoven with diamonds. Ms. Club is guaranteed to win one prize and to lose one. The other two are completely up for grabs. A good read on his opponent can allow Mr. Diamond to come out on top. Much better. Scenario 2. Drafting Cards For Relative Rank. Imagine a drafting game with two suits, diamonds and spades. Two cards will be put face up. Players will take turns drafting one card (alternating start player). Players want to get the best set in each suit. In our first case, the diamonds and clubs suits are each numbered 1-5. It is your turn to draft. In front of you are 3D and 3C. Which should you draft? It probably doesn’t matter. Each of these cards is equal in rank. Now we change the suits. Diamonds are still numbered 1-5. Clubs have been changed to 3-7. It is your turn to draft. In front of you are 3D and 3C. Which should you draft? 3D now stands out as the superior choice. It is in the middle of its suit while 3C is the lowest of the clubs. Even minor asymmetry creates texture in your decisions. Scenario 3. Drafting Cards To Build Pairs. Imagine a drafting game with two suits, diamonds and spades. Two cards will be put face up. Players will take turns drafting one card (alternating start player). Players want to build pairs–one card from each suit, both cards same rank. The diamonds and clubs suits are each numbered 1-5. It is your turn to draft. In front of you are 3D and 4D. 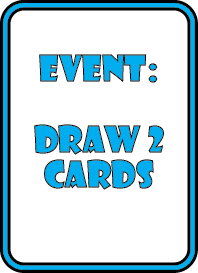 Each of these cards is equally likely to form a pair. Your decision is largely meaningless. Now we change the suits. Diamonds are now numbered 1, 2, 3, 3, 4. Clubs are now 1, 2, 3, 4, 4. It is your turn to draft. In front of you are 3D and 4D. Which should you draft? 4D is superior. There are two ways to pair your 4D but only one way to pair 3D. Asymmetry again adds texture to your decisions. Scenario 4. Bidding in a Trick Taking Game. Imagine a trick taking game with three suits, clubs, diamonds and spades. Similar to Bridge or Mü, players bid to determine trump suit. In our first case, there are nine cards in each suit. This is a three-player game so you are holding a hand of nine cards. The suits have landed equally in your hand. You hold three of each and they are all of roughly the same rank.. You must bid trump suit. Which should you pick? You cannot tell. Each of these suits is equally strong in you hand. Now we change the suits. There are still nine clubs but there are thirteen diamonds and five spades. You again hold a hand of three cards from each suit. You are holding more than half of the spades. If you can get them to be trump, you are assured of having total control in spades. At the same time you have an equal share of the clubs. If clubs are trump, you are probably going to be okay this hand. You have only a few of the diamonds so if diamonds become trump, this hand will likely not go well for you. The asymmetry in this deck yields implications about your hand. What do you think of these examples? Did they clarify good uses for asymmetry? Do you see examples that I missed? Share them with your fellow designers in the comments below. And if you’re enjoying what you’re reading, subscribe. It makes this old designer happy. I will be back in four days with some great published examples of asymmetry. See you Tuesday!